April 25, 2017 – So you’re in Finland, and you look around, and you start to wonder “are there no old people here?” Of course there are, but they look younger than most because they know a secret. Well, it’s not really a secret. It’s a way of life. They sauna every day. And so can you! Exfoliate! A sauna does it beautifully by causing you to sweat, which flushes away bacteria and dead skin cells. In addition, all that sweating helps deliver more mineral and nutrient-rich fluids to your skin, which minimize blemishes and acne, and reduce the appearance of wrinkles. Enjoying a sauna on a regular basis helps the body regulate your pH and keeps your skin hydrated. This is essential since the outer layer of your skin is the first line of defense against infection and dehydration of underlying tissue. They are aglow, those healthy looking Finns. Is it the reflection of the Aurora Borealis? Not even. It’s all that sweating they do in their saunas. The pores open up. The blood flows. Toxins are released. The skin exfoliates. And voila! They are beaming with radiance and youthfulness. You should try it! Your skin is fair game for foul weather, and no doubt this winter took its toll. You don’t have to take it lying down, or sitting up, but you should–in a sauna every day. That’s just what you need to defend your skin against aging and find your new youthful look. Did you remember to gift your family a sauna this past holiday season? It’s not too late! 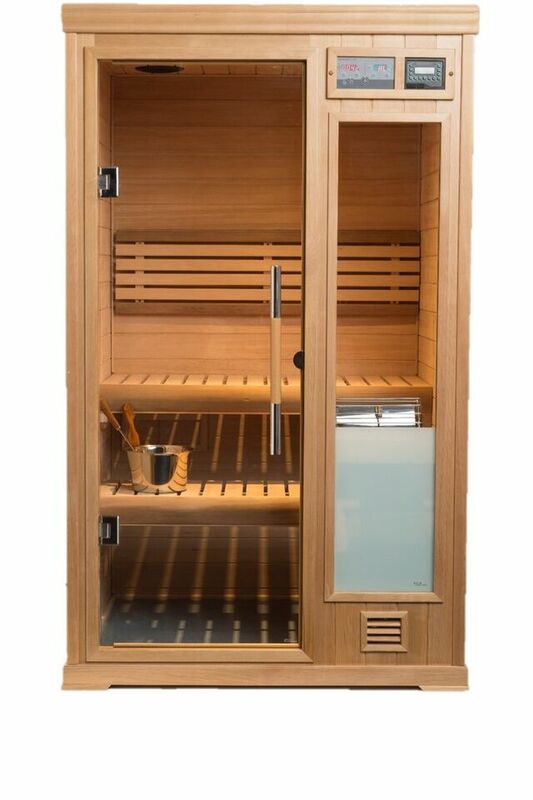 We have a full range of Finnleo Saunas to fit any taste and lifestyle. Visit one of our five convenient area showrooms today to discover all the healthy benefits of a sauna and the wonderful way it makes you feel.